John L. Renne, Ph.D., AICP, is an Associate Professor and Director of the Center for Urban and Environmental Solutions (CUES) in the School of Urban and Regional Planning at Florida Atlantic University in Boca Raton, Florida. He is an Honorary Research Associate at the Transport Studies Unit in the School of Geography and the Environment at the University of Oxford in England. Dr. Renne’s work focuses on creating sustainable and resilient transportation systems. He coined the term “carless evacuation” after Hurricane Katrina. He led a National Study on Carless and Special Needs Evacuation Planning, funded by the Federal Transit Administration (FTA) and is a co-founder of the National Evacuation Conference. Dr. Renne has published extensively and served as an editor of scholarly journals on the topics of evacuation and transportation resilience for Natural Hazards Review, Journal of Emergency Management, and the International Journal of Disaster Risk Reduction. Dr. Renne is the Chair of the Transportation Research Board’s Committee on Transportation and Land Development and serves as a Committee Member on the TRB Emergency Evacuation Committee. He serves in leadership and board positions with the Urban Land Institute and the Palm Beach County Planning Congress. Dr. Renne is also the founder of The TOD Group, LLC, the Denver TOD Fund, LLC, and the TOD Index, LLC. Ms. Fayard was born in Baton Rouge and grew up in Denham Springs, Louisiana. She graduated with honors from both Dartmouth College and the University of Michigan Law School. At Michigan, she administered a fellowship program on behalf of the university. Ms. Fayard worked at both the White House and Congress before taking a position at Goldman Sachs. She later worked at the Washington-based firm of Williams and Connolly before returning to government service, and to Louisiana, to work as a law clerk for U.S. District Court Judge Stanwood R. Duval Jr. of the Eastern District of Louisiana. 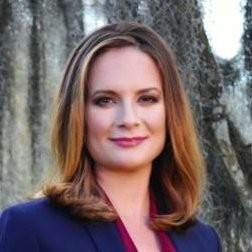 Fayard was later appointed to the faculty of the College of Law at Loyola University New Orleans and served there until 2009 when she returned to private practice. She currently serves as Vice President on the Board of Louisiana Appleseed, a non-profit organization that promotes access to justice. She is a member of the Federal Bar Association, the Junior League of New Orleans and a Life Loyal member and former chapter president of Delta Delta Delta Fraternity, Inc. Ms. Fayard is licensed to practice law in Louisiana and New York. Josh Sawislak is an internationally recognized expert on climate and disaster resilience and sustainable development. He advises governments, corporations, international organizations, and NGOs on policy, implementation, and financial issues around building sustainable and resilient infrastructure in both the developed and developing world. He holds an appointment as a professional affiliate of the Center for Urban and Environmental Solutions (CUES) in the School of Urban and Regional Planning at Florida Atlantic University and is a Senior Advisor to the Center for Climate and Energy Solutions (C2ES) based in Arlington, Virginia. Mr. Sawislak served in the Obama Administration as the Associate Director for Climate Preparedness at the White House Council on Environmental Quality, where he developed U.S. federal policy on climate adaptation and resilience and worked with foreign governments and international organization on multilateral and bilateral efforts. He also served as a senior advisor to the Secretary of Housing and Urban Development (HUD) focused on infrastructure and resilience at HUD and across government. He led the development of the infrastructure recommendations for President Obama’s Hurricane Sandy Rebuilding Task Force. Mr. Sawislak is an environmental and transportation planner and a member of the American Institute of Certified Planners. He earned a degree in political science from George Washington University and a certificate in infrastructure development from Harvard Kennedy School. Jeffrey Thomas is a New Orleans attorney with over 17 years of law and policy experience focused on environmental protection, economic development, disaster recovery, renewable energy, and increasing public participation in government. As principal of Thomas Strategies, LLC, Jeffrey helps facilitate public-private financing and policy solutions to spur resilient and sustainable community and economic development. Jeffrey is also a partner at Cara Stone, LLP. Jeffrey coordinated the New Orleans Citizen Sewer, Water & Drainage System Reform Task Force, which was created at the request of the City of New Orleans to recommend existing opportunities to improve the City’s water and flood protection systems, including means for reducing polluting runoff and reducing subsidence by safely absorbing more storm water within public spaces. Jeffrey’s local experience also includes service as in the aftermath of Hurricane Katrina, as Special Assistant to the New Orleans Office of Recovery & Development Administration, in which he supervised post-disaster policy development aimed at blight reduction, neighborhood commercial revitalization, and sustainable public infrastructure investment. Jeffrey’s community efforts have been recognized with several honors, including the New Orleans CityBusiness Magazine’s Leadership in Law Award, and designation among Gambit Magazine’s “Forty Under Forty” in the New Orleans region. 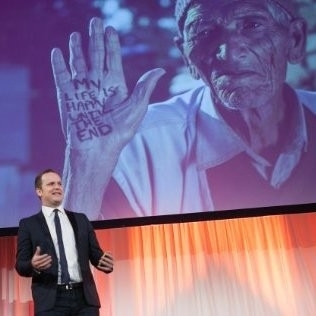 Robert X. Fogarty is the co-founder of Evacuteer.org and founder of both Dear New Orleans and Dear World. He started Evacuteer.org after serving as an AmeriCorps VISTA member with the City of New Orleans, when he recruited volunteers to help evacuate 18,000 residents without access to reliable transportation in advance of Hurricane Gustav, the largest hurricane evacuation in U.S. history.